Portugal secured an eye-catching win on their UEFA Nations League debut, André Silva spinning and shooting beyond Gianluigi Donnarumma shortly after the restart. The hosts had already threatened when a deflected Bruma effort hit the crossbar in the first half, while Alessio Romagnoli had to clear off the line to deny Bernardo Silva. Emre Akbaba was Turkey's hero, scoring an 88th-minute equaliser before a sensational late winner as Mircea Lucescu's side recovered from 2-0 down in Solna. The hosts looked to be cruising after goals from Isaac Kiese Thelin and Viktor Claesson either side of half-time. Hakan Çalhanoğlu's fine swift reply gave Turkey hope, though, and Akbaba did the rest. Alex McLeish's Scotland ended a run of three consecutive losses with a convincing win, though they had to wait until shortly after the break for Berat Xhimshiti to deflect Steven Naismith's header into his own net. Naismith then nodded in from a corner to get his name on the scoresheet. Romania twice came from behind to record a second draw in two Group C4 games, both times responding to Aleksandar Mitrović strikes. Nicolae Stanciu made it 1-1 from a penalty, with George Ţucudean's deft flick from a corner then securing a share of the spoils. 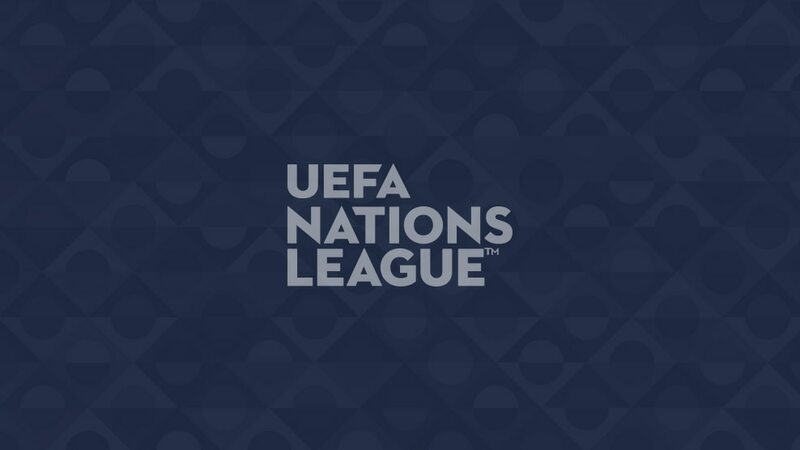 A pair of quick-fire goals gave Montenegro their first UEFA Nations League win, Stefan Savić burying from the penalty spot on 34 minutes before Marko Janković promptly doubled the lead. Marko Simić headed against the post as Montenegro threatened to inflict further damage. Substitute Jordi Aláez struck with four minutes remaining as Andorra salvaged their second point in two games. The visitors had the better of the first half and went ahead through Yuri Logvinenko's header on 68 minutes, only for Aláez to pounce on a loose back pass and level the scores. Two goals in six minutes at the start of the second half earned Kosovo their first competitive win since being admitted to UEFA in May 2016. Arber Zeneli broke the deadlock with a finish as tidy as Atdhe Nuhiu's was not soon after, and that was enough against a Faroes side that did not muster a shot on target until the 90th minute. Azerbaijan endured more disappointment having been restricted to a goalless draw by Kosovo on Friday night. It got worse before it got better in Ta' Qali as Andrei Agius's tenth-minute penalty put Malta ahead. Tamkin Khalilzade's fantastic first-time strike levelled matters, but the visitors could not conjure a winner.